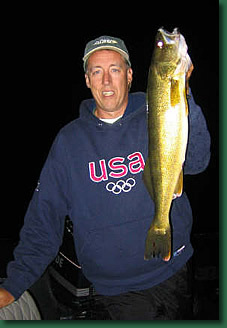 The Mayfly hatch is on and so are the Walleyes! Currently we are still about two weeks behind where we should be. Water temps have sunk back into the low to mid 60's. Most Walleye are being caught in shallow weeds in 12 feet of water or less. Although slip bobbers and leeches have been a good bet. Crank Baits will get you bigger fish. Especially near or after dark as the Mayflies hatch and the feeding frenzy insues!